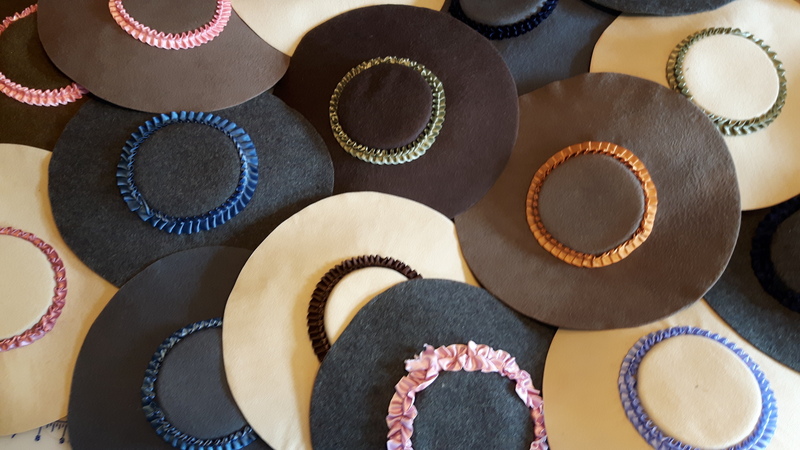 We offer a number of specialty items for 18th c living History Practitioners and Reenactors. Here is a short list of our most popular items. We will add more info in coming weeks & months. You are invited to contact us with questions, of course. Look for us “At the Sign of the Green Antler” at the 18th century events in our Shows list. 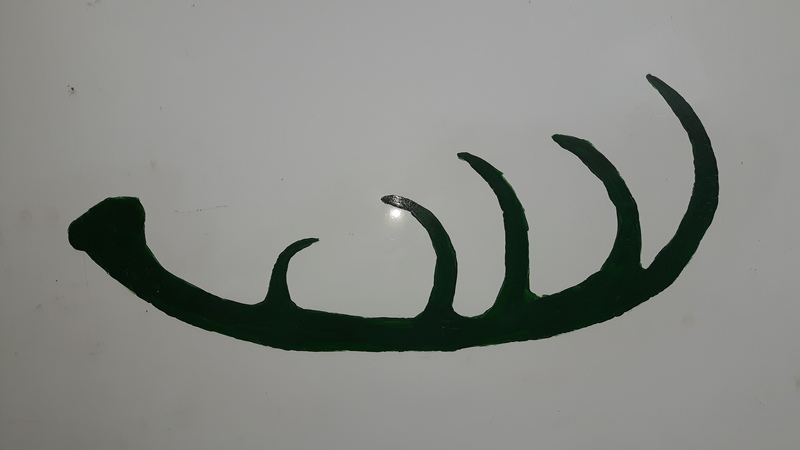 “At the Sign of the Green Antler” – Here is our Green Antler! 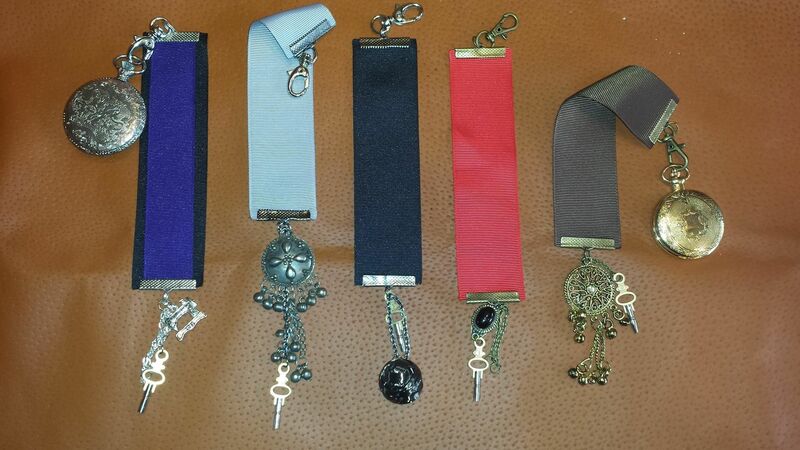 Ribbon watch fobs – some shown here have some extra bits and bobs from other era, as befits our various clients of sundry ilk. 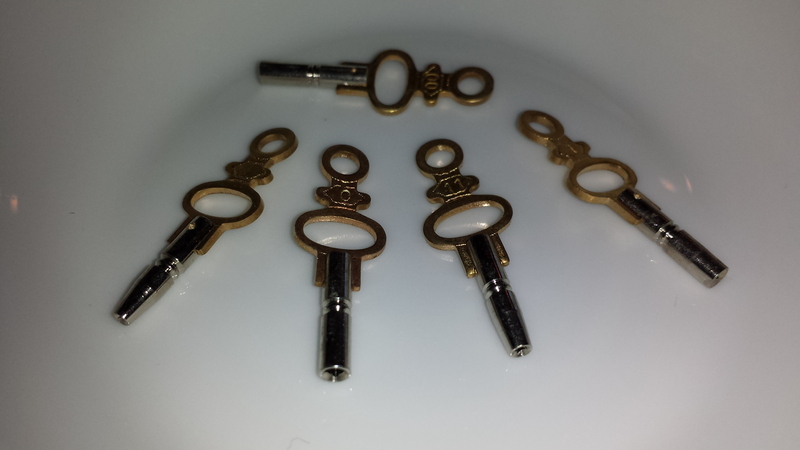 Watch Keys are one of the ways of making your battery or stem-wound watch look older than it is. Even a Stem-Wound watch would have a key for setting it, I believe.